A quinceañera marks a girl’s transition into womanhood — and it’s a great excuse to throw a party. Whether you’re sticking with tradition or going totally modern for this 15th birthday bash, here are 35 ideas and themes to make your party unforgettable. Fairy Tale - Tap into the Disney universe by having the guest of honor wearing a ball gown and tiara. Decorate your venue with paper or cardboard castles and kick it up a notch by arriving or leaving in a horse-drawn carriage. Under the Sea - Stick to a green-and-blue color palette and decorate with aquatic life-inspired items like cutout fish and seashells. This theme would lend itself perfectly to a fit-and-flare mermaid gown for the birthday girl. Country Chic - Great for a casual quince — you can have guests wear ten-gallon hats and decorate with gingham, mason jars and sunflowers. The birthday girl could wear a short gown to show off her cowboy boots, and the quince court could do a choreographed line dance. Winter Wonderland - If the special day falls in the winter months, embrace the cold with a winter wonderland-themed quince featuring a blue and white color palette, ice sculptures and hot chocolate for guests. Have your quince court dance to Vivaldi’s “Winter” from the Four Seasons and give tins of winter mints as party favors. Evening in Paris - Use mini-Eiffel Towers in your centerpieces and serve French food like baguettes, brie or even escargots if you’re feeling brave. Set out fun French props like berets, handlebar mustaches and striped ascots for guests to take photos with. 50s Sock Hop - Ask guests to wear 1950s classics like leather jackets, poodle skirts and saddle shoes, and serve milkshakes, hamburgers and hotdogs to eat. The birthday girl could wear a fun 1950s-style gown and dance the hand jive with her quince court when she arrives. You could even rent an old classic car to use in photos. Masquerade - For this elegant theme, have guests wear masks (reserving the most elaborate for the guest of honor herself). The color scheme can vary depending on the direction of the party: Choose purple and gold for more of a Mardi Gras-style gathering and black and red for a Phantom of the Opera-like feel. Backyard BBQ - Host an elegant outdoor event right in your backyard with rental event tents, string lights and burlap table cloths. Get creative with outdoor elements, such as a wheelbarrow filled with ice in lieu of a cooler or even bales of hay (draped with fabric to avoid itchiness) for seats. Hollywood Glam - Have a red carpet leading up to your venue, where you can decorate with black and gold, old timey film reels and the like. Serve movie fare like popcorn and candy, and have the birthday girl and her court wear Hollywood-style gowns. Butterfly Garden - This popular theme involves decorating with butterflies everywhere: butterfly lollipops as favors, cutouts as centerpieces and even butterfly hair clips or dress embellishments for the birthday girl. If your quince court is willing, you could even ask them to wear butterfly wings for your dance. Coming Up Roses - Pick red, pink or even trendy rose-gold as your main color palette and pick a dress that matches. Use roses as centerpieces and decorate your desserts with fondant roses. Nautical Night - If you have a body of water nearby, host your party on a boat. If not, bring the nautical party to you with a navy blue and pink or red color palette; decorate with anchors, life rafts and the like. Serve food like “seaweed” (spinach) dip, shrimp, etc. Fiesta-inspired - For this traditional Mexican theme, hang paper flowers, serve authentic fare and decorate with succulents and piñatas. Consider hiring a mariachi band to play traditional music for you and your quince court to dance to. Black and White Ball - Stick to those two classic colors by asking guests to wear only black or white. For decor, you can break them up with a black and white print like damask, toile or even zebra print. Serve monochrome food or hand out party favors like Oreo cookies. Alice in Wonderland - Go “mad” for the big birthday by serving tea, scones and other tea party fare. Have guests sit at long tables decorated with white rabbits, roses and playing cards. Food and beverage stations could be adorned with signs that say, “Eat me” and “Drink me,” The birthday girl’s dress can be a blue frock inspired by Alice herself or she could don a crown and a red dress a la the Queen of Hearts. Groovy Bash - Tap into your inner flower child with tie dye and peace signs everywhere. Give guests big round sunglasses as favors. Kick it up a notch by renting an old school Volkswagen bus for pictures, and have your court dance to The Beatles, The Monkees and the like. Luau - Have guests wear flower leis and teach your quince court to dance the hula. Decorate with tiki torches, serve a roast pig and use pineapples and other tropical fruit and flowers as centerpieces. Circus Soiree - Decorate with red and white stripes — or rent an actual tent and host your party under a real “big top.” If you have the budget, hire entertainment like clowns or trapeze artists. Make sure to have plenty of fun favors like balloon animals and circus foods like corn dogs and popcorn. Glow in the Dark - Throw your quince after dark and wear a neon dress. Switch off the lights in favor of black lights and different colored glow sticks and necklaces. Give guests glow-in-the-dark items like glow glasses and light-up tambourines as favors. Super Hero - Accessorize your dress with a super hero cape. Each table could represent a different super hero in your chosen franchise or you could have each member of your quince court dress as a super hero (or villain!) and choreograph a fight-style dance. Set Your Budget - Before you begin planning, you’ll need to figure out a budget and stick to it. Depending on your venue, menu and number of guests, the average quinceañera can range from $1,500 to $20,000 and beyond. Do your research and speak to other friends and parents to determine how much you’ll likely spend. Venue is Everything - Your venue will set the tone of your party. Do you want a swanky affair in a grand ballroom or something more casual in a backyard? You’ll need to figure out the venue fairly quickly, as some places book months in advance. Eat, Drink and Be Merry - Another important initial decision will be your food and beverage offerings. Will your guests be eating a plated dinner, grazing hors d’hourves or bringing dishes to share? Whatever route you choose, make sure guests know what to expect. Buy a Special Dress or Gown - Choosing a quinceañera gown is one of the most exciting parts of the process. Traditionally long billowing ball gowns were all the rage, but today’s birthday girls choose all sorts of dresses for their special day. Pick one that will make you feel comfortable and beautiful. Book Photography and Videography - Many families opt to hire a professional photographer and/or videographer to capture the celebration so they don’t have to worry about snapping pictures themselves. Of course, this is an extra expense, but one that can be well worth the cost when looking back at professionally taken photos of the special day. Plan Invitations - Beautiful embossed paper invitations look nice in a scrapbook, and online invitations are cost effective and simple. 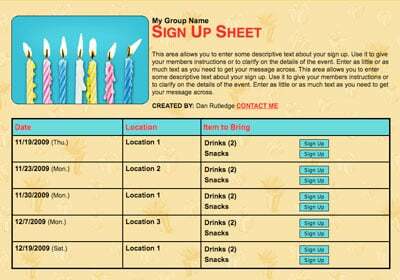 Whichever method you choose, make sure your invite includes all pertinent information such as date/time and address of the event. Genius Tip: Make RSVPs easy with an online sign up for the party. To Court or Not to Court - A “court of honor” usually consists of the birthday girl’s best friends and/or close family members: girls called “damas” and boys called “chambelanes.” Traditionally there are 14 of each, but don’t feel like you have to choose such a massive court. Modern quinceañeras often feature a much smaller court or even none at all. Expectations for Court Members - If you do decide to have a quince court, let them know well ahead of time what will be expected of them. Will they need to wear matching dresses and/or tuxedos (and will they be expected to pay for their outfits themselves)? Will they need to come to any rehearsals for your event? Let them know as many details as possible early on. Mass Appeal - Traditionally, the quinceañera celebration is kicked off with a special Mass. However, some modern quinceañeras don’t include a religious element. If you’re planning to have a Mass, be sure to let guests know what time to arrive, and give directions to your chosen house of worship. 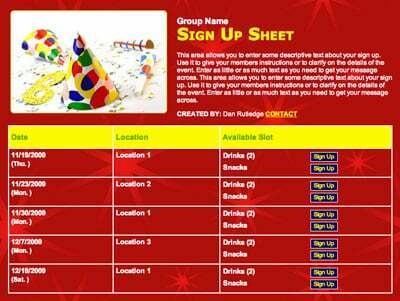 If you’re throwing a party afterward, let guests know where it will take place and what time it will begin. Changing of the Shoes - In this symbolic change from childhood to adulthood, the girl’s father or other close relative changes her shoes from flats to high heels. If you choose to include this ceremony, feel free to get creative with your footwear. You could enter the party wearing canvas sneakers and leave in stilettos — the choice is yours. Quinceañera Waltz - Often, when the guest of honor and her court first enter the party room, they will perform a choreographed waltz or maybe a different, more modern dance to the girl’s favorite song. She also may share a special dance with her father. Scour YouTube for ideas, poll your court about what they’d like to do or even hire a choreographer. “Last Doll” - This special doll represents the last child’s toy before the guest of honor becomes an adult. Some people have it monogrammed with the birthday girl’s name or custom made in a dress to match hers. At some quinceañeras, the guest of honor tosses the doll bouquet-style to a group of girls who haven’t turned 15 yet. Other times, the guest of honor will pass the doll onto a younger sibling or family member in a special ceremony or dance. Other Gifts - Traditional ceremony gifts include a tiara, cross, Bible, rosary and a scepter to represent the honoree’s authority over her life as an adult woman. Consider which items are important to you, and consult your budget to see what you can afford to include. Party Favors - To thank guests for celebrating your special day, consider sending them home with an edible favor like cookies or other baked goods or a fun keepsake like a custom drink koozie. Whichever themes and traditions you choose, your quinceañera is sure to be an exciting day you’ll never forget.